Corporate volunteering is a win-win-win. It’s not just the local community that benefits from your business giving back, it’s also beneficial for the business and its individual employees. Studies have shown corporations that are involved in the community tend to retain employees at a dramatically higher rate. The employees themselves are likely to be healthier and happier, and as a result your business is likely to see significant increases in productivity and morale. 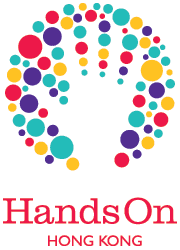 Partnering with HandsOn Hong Kong makes it easy for your business to engage with the community in which you live and work. Whether it is your top management, your accounting department, or your entire Hong Kong organization, HandsOn Hong Kong can arrange meaningful projects for your volunteers. We have worked with numerous firms large and small, and typically we begin with a process of understanding the interests and capacity of the firm itself. From there, we can help you build a program that engages employee volunteers on a one off basis or over the long term to benefit both the community and your own organization. To cover costs, we pass on the activity expenses to our corporate clients, plus a project management fee. Visit our Corporate Volunteering Stories to learn more about our different corporate partners and the various exciting programs we tailor-made. More information on our corporate volunteer programs, please contact related person below. For Chinese speaking: Head - Community Engagement, Nokia Cheung at nokia@handsonhongkong.org.